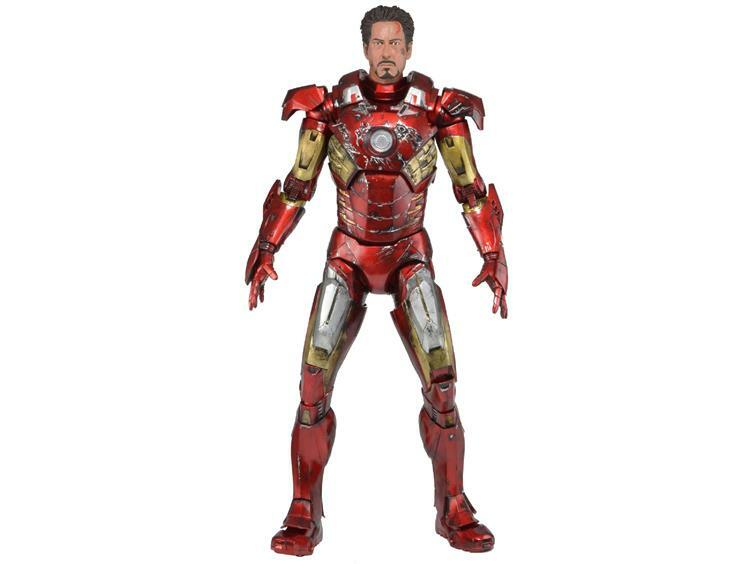 Following the success of our instant sell-out 1/4 scale Iron Man figure comes this brand new Battle-Damaged version of the Mark VII armor. The third offering in our Marvel Avengers line includes a brand new head sculpt featuring the likeness of Robert Downey Jr. as Iron Man. This figure also includes newly damaged armor plates and an incredible paint job showing the weathering detail from the battle for New York City. 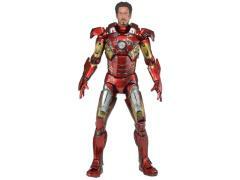 After his previous armor is extensively damaged during the harrowing mid-air salvage of the S.H.I.E.L.D. Helicarrier, Tony Stark deploys Mark VII version, which is outfitted with a laser scan reading system and four additional thruster systems. The armor’s weaponry includes computerized high-explosive micro-missiles, anti-armor missiles, triple-barreled laser modules, and repulsor-intensifying plasma chargers.